Our company is built on a strong foundation of a team that’s united, conscientious and committed to the company. Our workforce is an amalgamation of smart minds, excellent skills and great enthusiasm. They are the force that drives our organization towards the road of success. We deliver 100 % dry spun linen yarn useful for weaving as well as manufacturing Carpets, Durries Rugs, and Rope Making. We conduct a proper quality check on the yarns once we procure it to ensure the products are damage free. 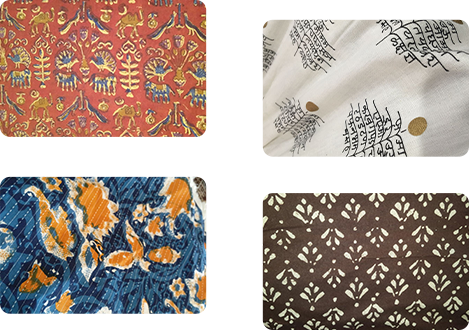 we are a professionally managed jaipur based firm with the buisness of grey ,printed and dyed fabrics of all type.